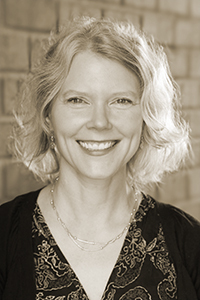 Becky Hagenston is the author of three short story collections: Scavengers (University of Alaska Press, 2016), which won the 2015 Permafrost Book Prize in Fiction; Strange Weather (Press 53, 2010), which won the 2009 Spokane Prize for Short Fiction; and A Gram of Mars (Sarabande Books, 1998), which won the 1997 Mary McCarthy Prize in Short Fiction. Her stories have appeared in The Gettysburg Review, One Teen Story, Crazyhorse, Subtropics, and elsewhere. Twice the recipient of an O. Henry Prize (1996 and 2015), she is an associate professor of English at Mississippi State University.